Mustard Seed Schools sits in a deeply religious community, both Christian and Moslem. It has therefore tried not to alienate the parents and families of its students. There have been periods when religious symbols have been banned in school, but these days the school takes a more tolerant stance towards private adherence to religious faith. It does expect students to show mutual understanding, though proselytising by any group is against the school rules and last year a student actively promoting extreme evangelical views was asked to leave the school. “Ever since the conclusion of the UHST/IHEU funded Humanist Ethos Project, Humanist principles have been embedded in the day-to-day management of Mustard Seed School. 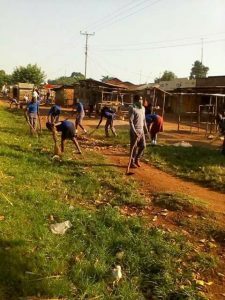 In common with the other Humanist Schools in Uganda we encourage positive discipline, based upon the principles of empathy and responsibility to the wider community rather than upon physical punishment, which is so common in many other Ugandan schools. 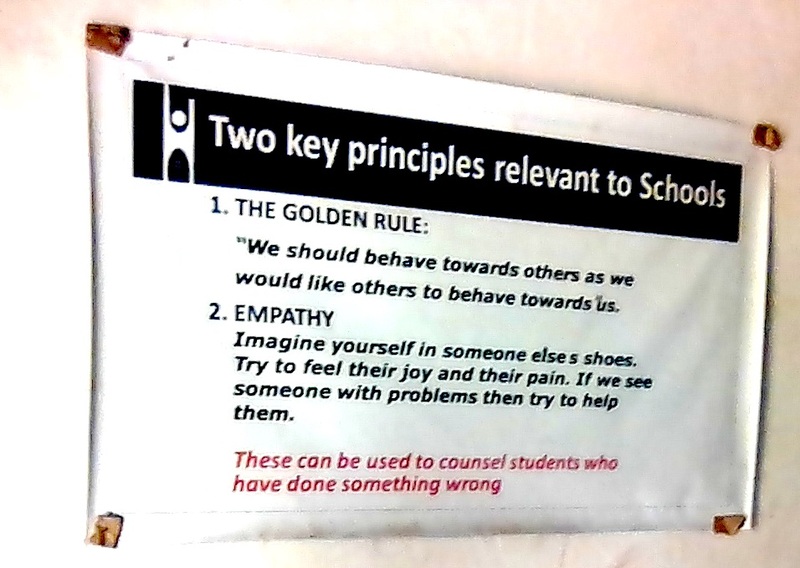 The principles of Humanism are set out in inspiring posters, which are placed prominently around the school, including the Headteacher’s office, reception, bursar’ office, staffroom, library, dormitories, computer lab and clinic. 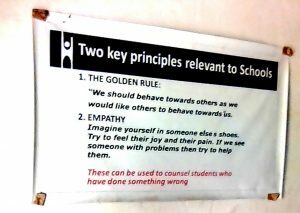 Guidelines for promoting positive discipline, emphasising guidance and not violence, are equally displayed on walls everywhere. 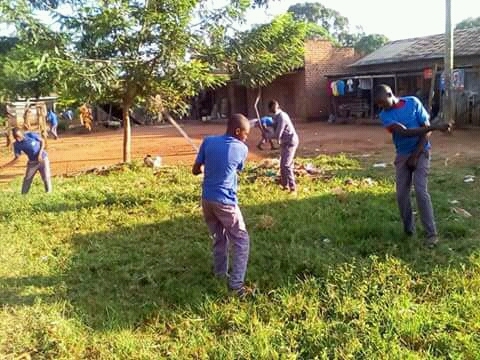 A humanist counsellor, Simon Bogere supports students in the school by promoting Humanist ideas and being patron to the Humanist Student Club and helping it to carry out good works in the local community. The Humanist Counsellor is also a member of the student-staff disciplinary committee. The Humanist Club meets every Friday and Sunday to have discussions and debates on social issues and to carry out voluntary work around the school and in the community. Recent work by the group has included litter picking in the nearby town and local tree planting.